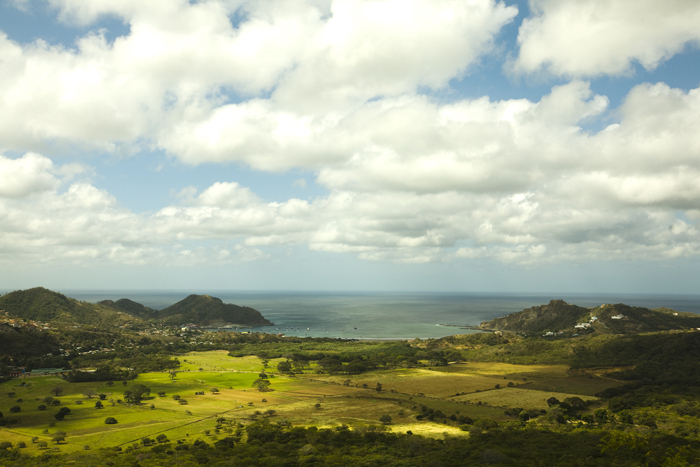 What does Santa Barbara have to do with Nicaragua? Every full moon in February, Santa Barbara ex-pats and UCSB alumni throw a music festival and surf competition known locally as “Pitaya Fest” with hopes of increasing environmental awareness and education among Nicaragua’s beach town San Juan del Sur and the adjacent community of El Carizal. The highlights of a week full of events are the 4th annual Quiksilver and Santa Barbara’s A-Frame Surf sponsored surf competition, taking place at Playa Hermosa on Friday, February 10th. Last year’s contest took place in head high plus waves and 85 degree sun. The following day, February 11th, the Pitaya Festival is a day full of fun that includes music from around the globe including Reggae from the Bluefield Sound System and Rock from Costa Rica’s 424 (one of last years hottest bands on MTV Latin America) and Santa Barbara’s own Spencer the Gardner. The Earthship Pitaya Festival gets its name from an off-grid, sustainable structure, called an Earthship, and the locally grown fruit Pataya. The Earthship, constructed out of recycled cans, bottles and tires filled with rammed earth, has been featured on HGTV. 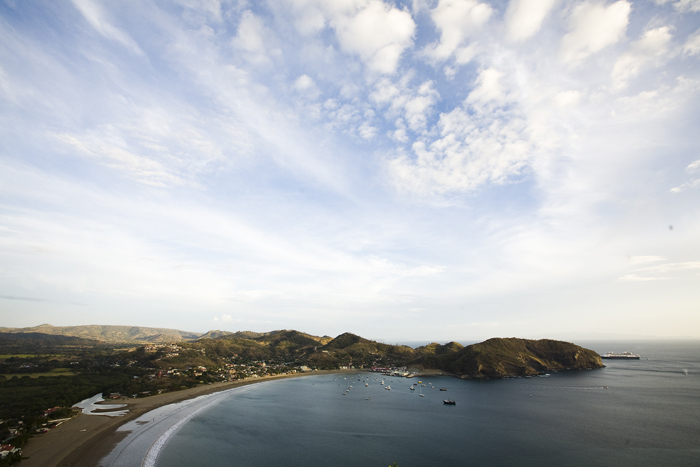 It’s lush surroundings and garden, outside of San Juan del Sur, is where the festival is held. The amazing structure acts as a pillar of inspiration for continued sustainability in the hilly costal area. Solar panels collect the sun’s natural energy, which is stored and used to power all electrical appliances within the home. Rainwater catchment systems take advantage of Nicaragua’s high quantity of rainfall by keeping it in large cisterns, while water reclamation systems process the water and transport it to greenhouses filled with fruit trees and vegetable gardens. 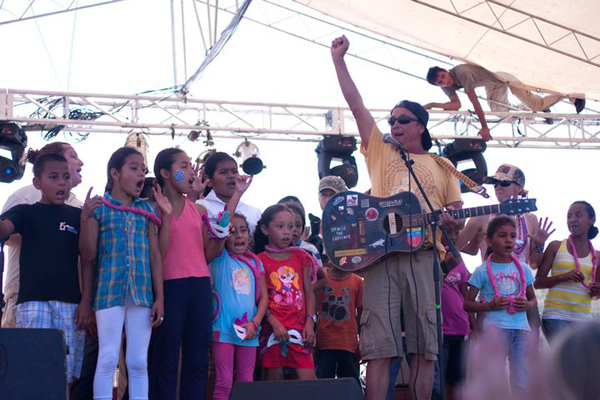 Proceeds from the Earthship Pitaya Festival and surf competition go toward the Casa Llanta Fund, a non-profit organization committed to education and sustainable community development in Nicaragua. The Casa Llanta Fund helped finance the construction of the local pre-school in the community of El Carizal, and initiated a successful micro-financed women’s jam co-op. The fund currently hosts bi-weekly English Classes and supports the continuing operation and development of a local special needs school called Los Pipitos. With Spencer the Gardner (pictured at last year’s festival) again playing in front of thousands of spectators wearing a colorful array of festival hats donated by none other than Santa Barbara’s infamous Jimmy J, it is difficult for one to imagine that the two worlds are 3,000 miles apart. Sam Ferguson, a Santa Barbara based Paramedic and band member of the Harlequins, will also make the journey south for his 3rd festival performance. SB Photo Booths will build a photo booth on site to capture the imagination and memories of children of all ages who attend this year’s event. The SB Photo Booth shots will be featured in the local art gallery alongside the featured photos of Brooks Institute alumnus Lauren Stocker, who has photographed the event the past two years. Musicians and artists are not the only ones leaving Santa Barbara footprints in the Nicaraguan sand and smiles on the local faces. The UCSB’s women’s soccer team donated their retired jerseys to the special needs school supported by the festival’s fund, which the students wore at last year’s Nicaraguan special olympics. Both SBCC and UCSB women’s volleyball teams have also donated used equipment for youth sports development programs associated with the Casa Llanta Fund. Representatives from Ocean Hills Covenant Church of Santa Barbara visited last summer to repair the community’s local church, teach English classes and volunteer. Red’s Wine Bar has hosted two fundraising events in Santa Barbara to support the cause at which Santa Barbara’s Internationally acclaimed motivational speaker W. Mitchell spoke last year. This grassroots festival recalls Santa Barbara’s collaborative and festival roots and supports the development of a seaside community that looks a little bit like Isla Vista in the 1950’s, with a little Latin flavor added of course. Santa Barbara based Travel in Central America is also offering up affordable travel packages for a week of lodging and fun in the San Juan del Sur area. Check out TravelinCentralAmerica.com for packages starting at $595.